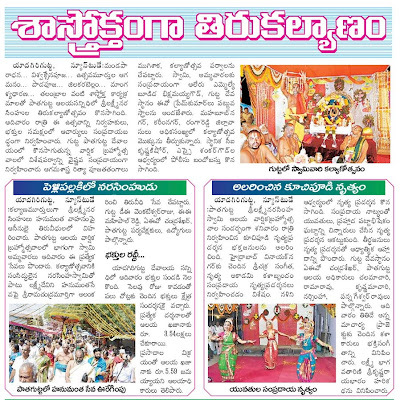 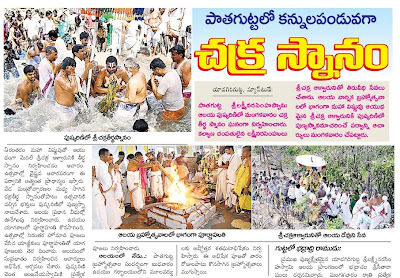 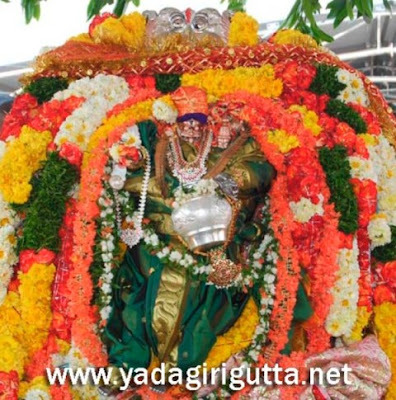 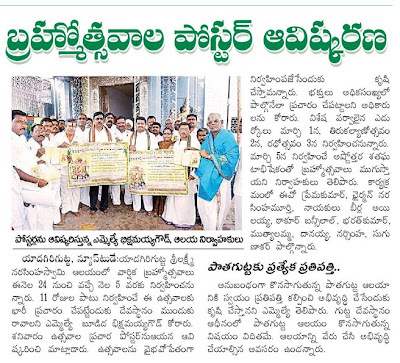 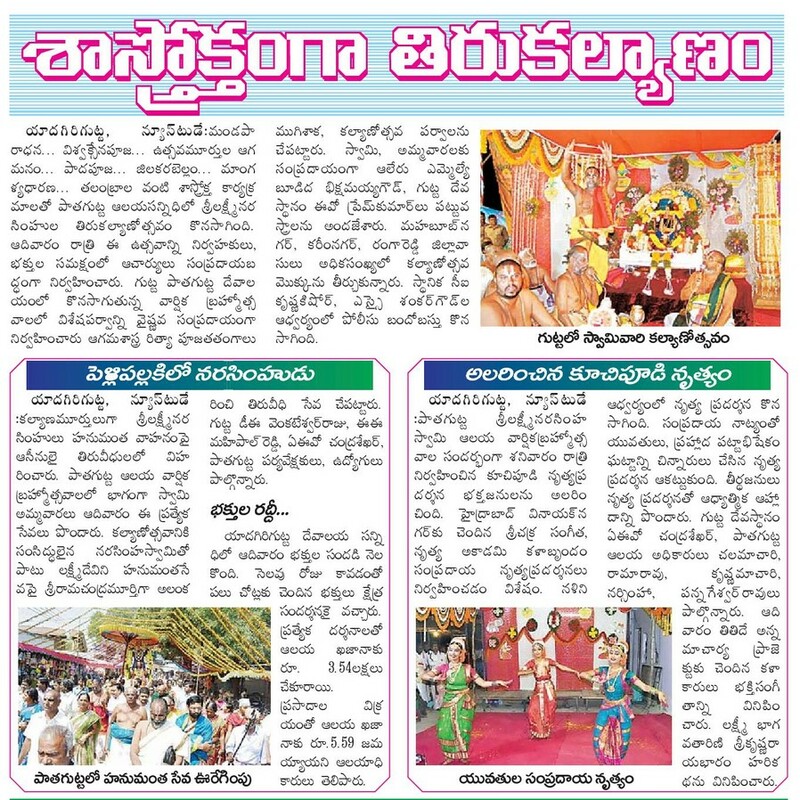 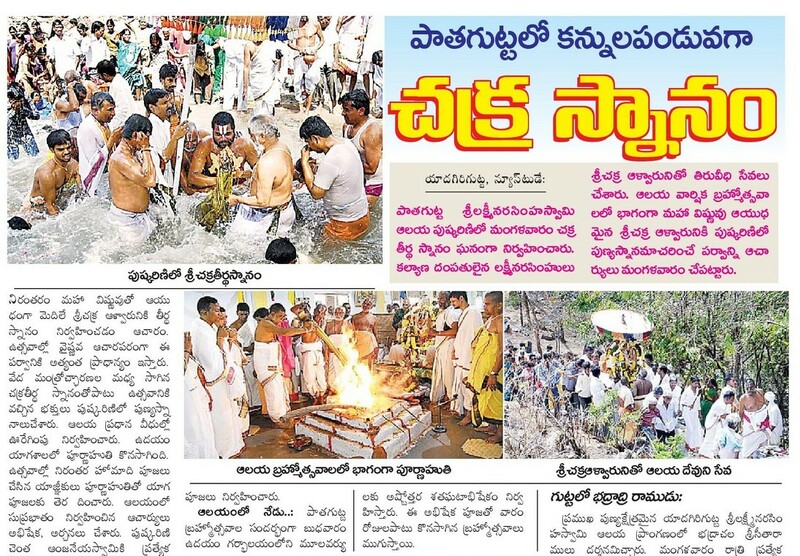 The second main event, part of Brahmotsavam is Dharmika Sangeetha Sahithya Mahasablu are started today which have been celebrating since more than five decades on yadagiri hill during every brahomotsavam. 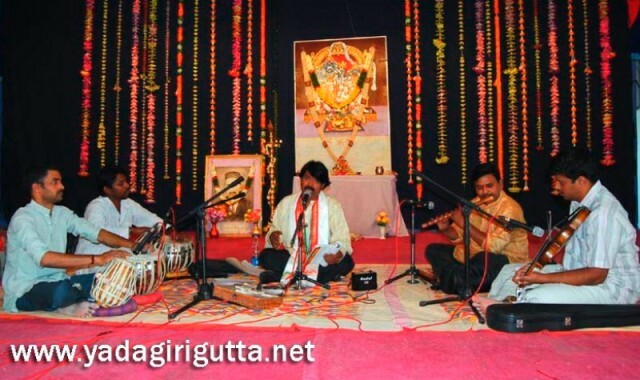 So many top artists performed on this stage which called Sangeeth Sabha at Uphill. 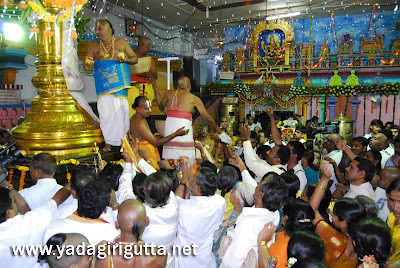 from Bala Murali Krishna to Bala Subramaniam so many great artists gave their performance here. 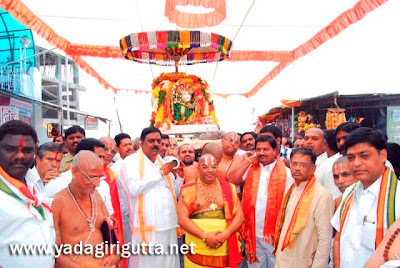 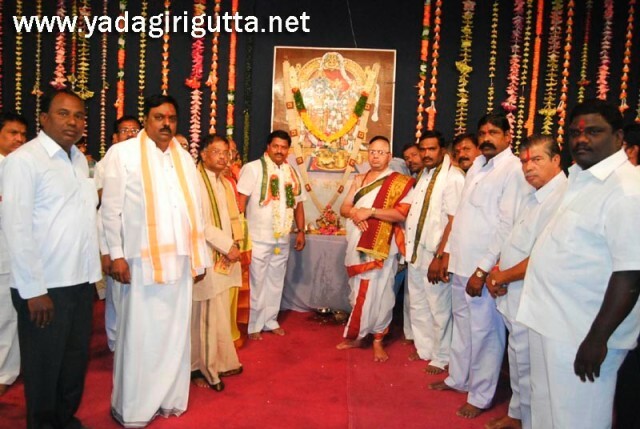 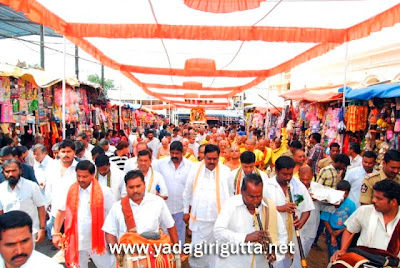 Yadagirgutta Brahmotsavam 2012, today Sri Laxmi Narasimha Swamy blessed devotees in Jaganmohini Avatar and gave darshan to them on the streets of yadagiri hill, in this event Aler MLA Bixamaiah Goud, EO Prem Kumar, Chairman Narasimha Murthy were present and participated in sheva. 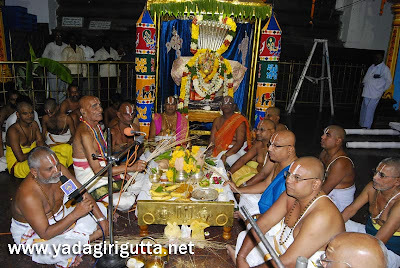 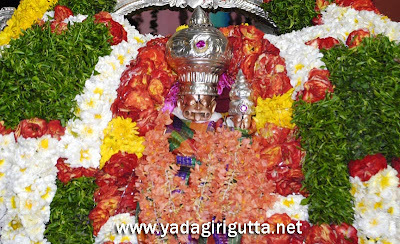 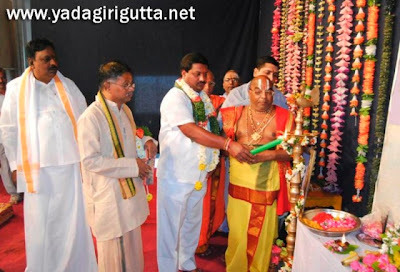 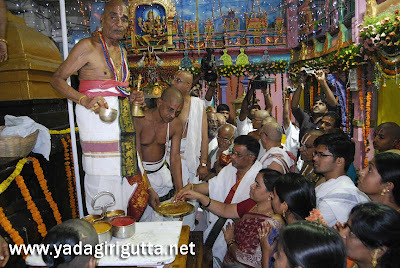 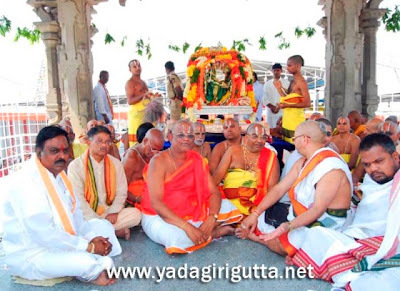 Second day of the Yadagirigutta Brahmotsavam 2012 Dwajarohanam celebratated at temple by priests of yadagirigutta temple and also special priests who specailly invited to yadagirigutta for Brahmotsavam, below are the photos of second day. Yadagirigutta Sri Laxmi Narasimha Swamy Brahmotsavam 2012 will be held from February 24 to March 5, related to this a publicity wall poster inagurated yesterday at Temple by the Local MLA Bixamaih Goud in presence of SLNS Devastanm EO Prem Kumar, Chairman Narasimha Murthy and other officials. 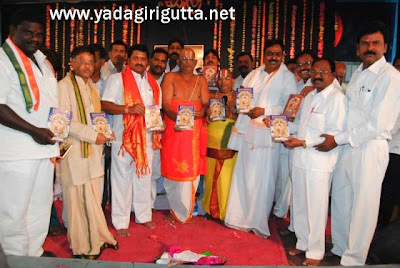 Yadagirigutta Calender 2012 handed over to Vinod Kumar, Winner of last Week recently in Secunderabad in presence of his father Sri A.Prabhakar Garu , i am very happy to met such nice persons and handed over yadagirigutta calender to them personally. 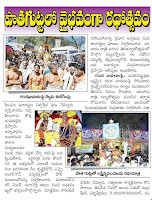 All the best Vinod. As informed to you in Final Week Winners Announcement about the giving Calender Gift to others, Since we have not received response / feedback from the some of the Winners, we have decided to give those Yadagirigutta Calenders to other devotees of Lord Sri Laxmi Narasimha Swamy, Yadagirigutta. 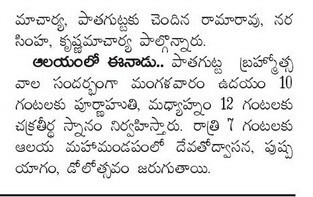 Accordingly, we have selected the below mentioned our subscribers as Winners of the Calender Gifts. 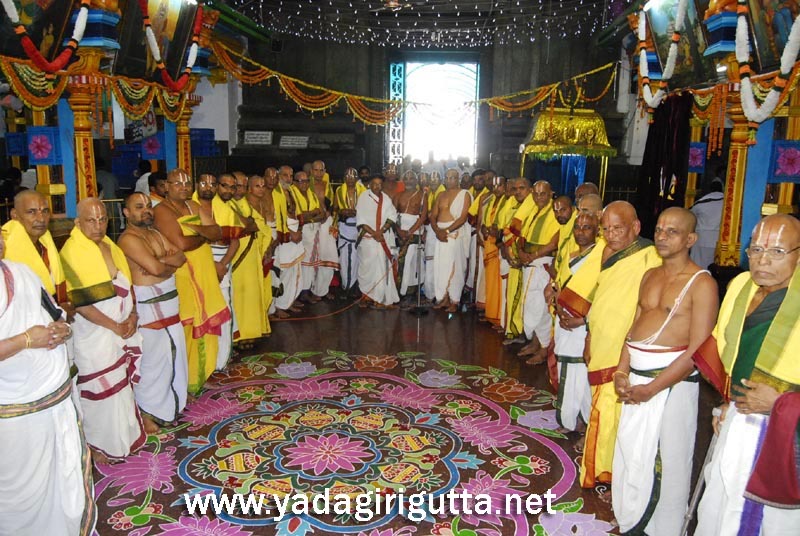 Congratulations Winners, we are sending your calenders in post, if you have any views / comments please write to us at admin@yadagirigutta.net or post in comments section here. 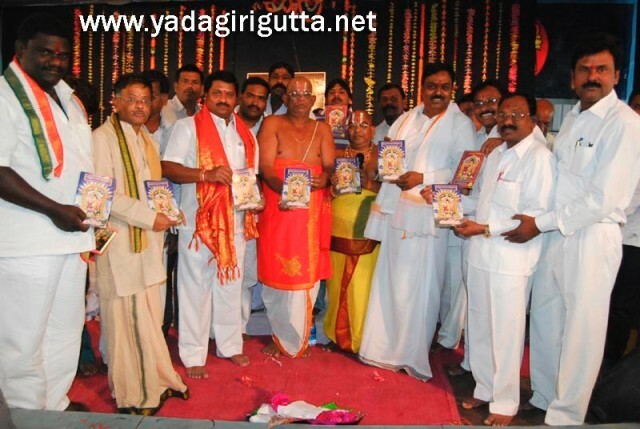 Please note the promotion of Yadagirigutta Calender is now Closed. 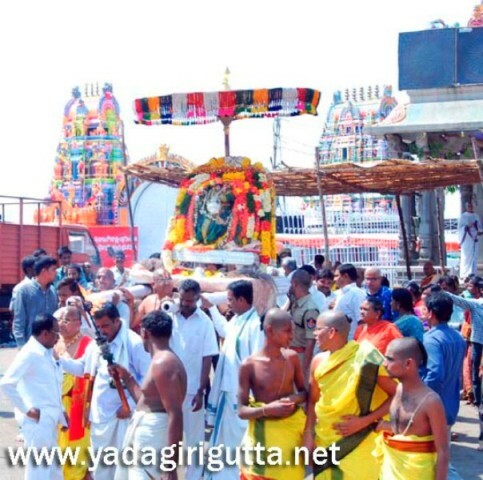 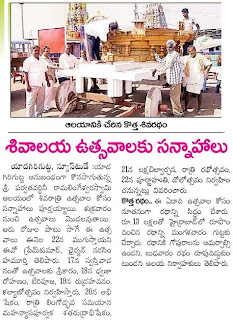 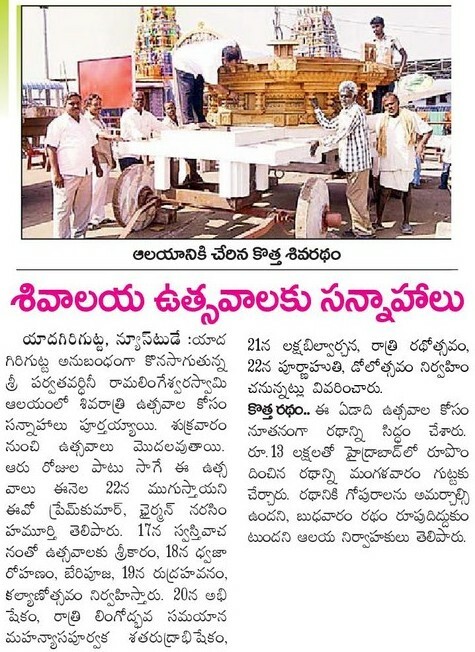 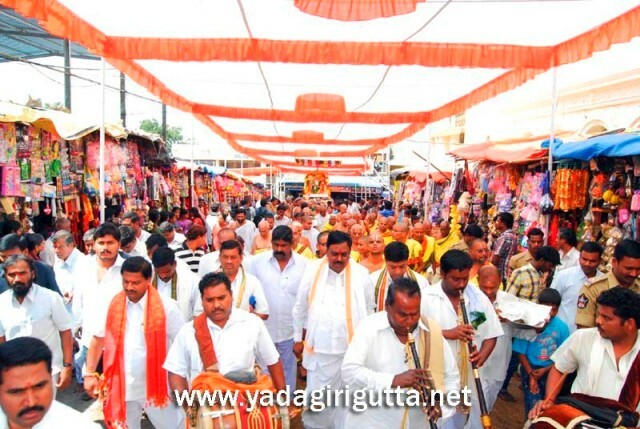 Badrachalam Sri Rama Rathayatra reached to Yadagirigutta yesterday 07.02.2012 evening, which yatra has been conducting through out the state, started from Badrachalam, during this yatra organizers explaining the importance of the badrachalam temple and the greatness. 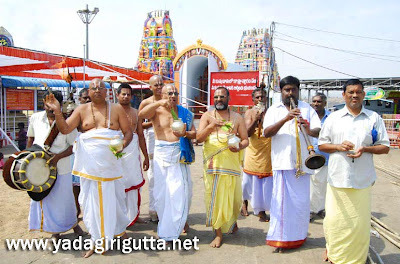 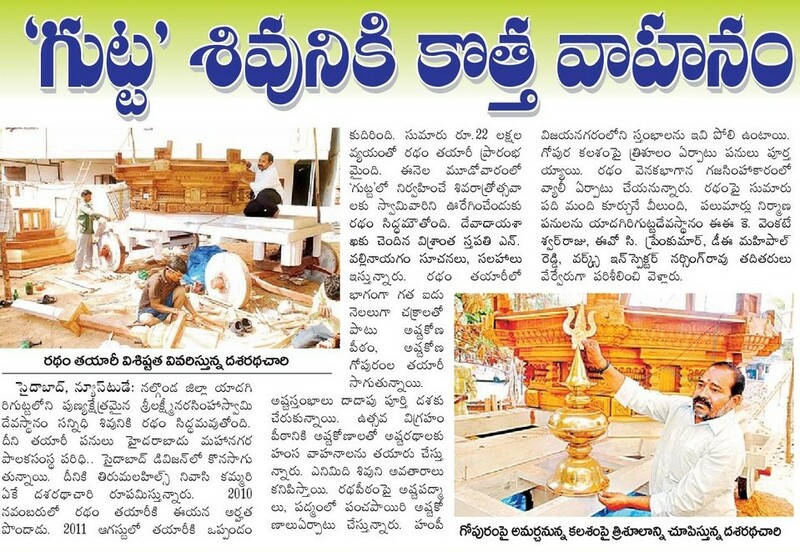 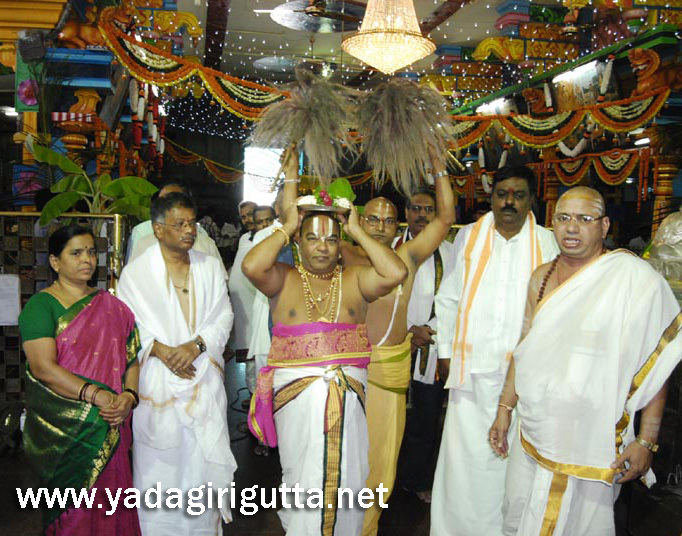 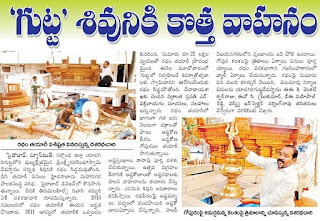 Yadagirigutta Priests and Officers welcome the Rathyatra. 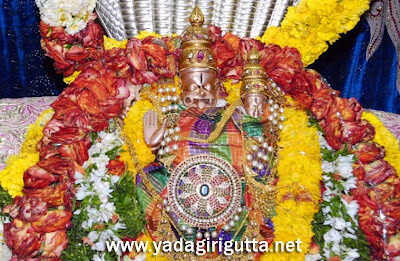 Pathagutta Sri Laxmi Narasimha Swamy Brahmotsavalu started on 02.02.2012 with traditional pujas and special pujas and this festivals will be run in next seven days continually. 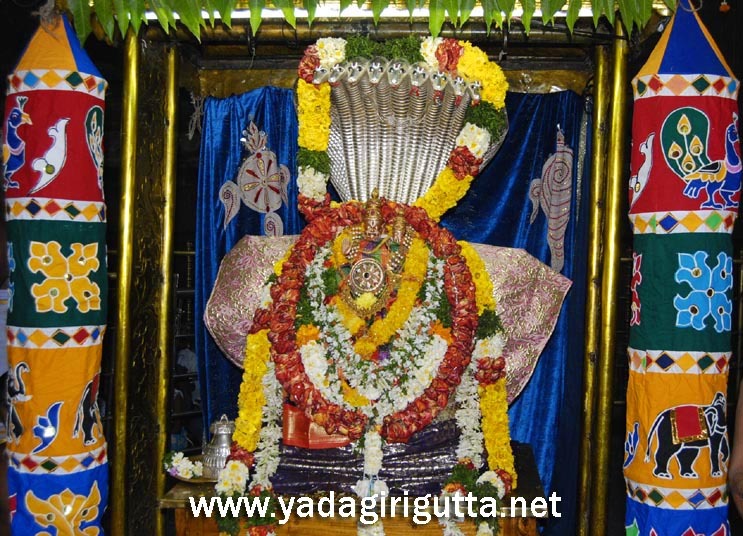 Pathagutta is just 2 Km from Yadagirigutta and under the supervision of SLNS Devastanam, Yadagirigutta. 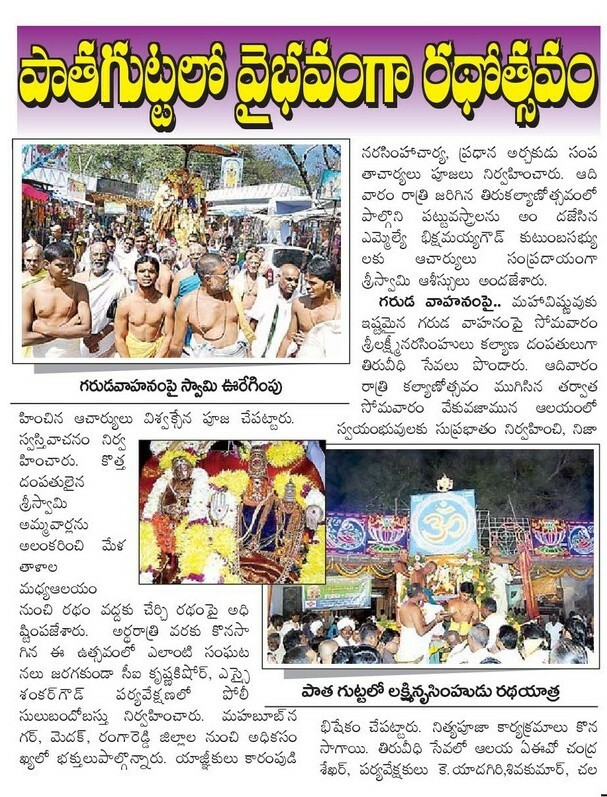 A intersting article read today in Namasthe Telangana about the detail route map of Medaram and what we can see throught the route from Hyderabad to Medaram. Click the below image and see in details.